Search engines like Google have a problem – it’s called ‘duplicate content’. Duplicate content means that similar content appears at multiple locations (URLs) on the web, and as a result search engines don’t know which URL to show in the search results. This can hurt the ranking of a webpage, and the problem only gets worse when people start linking to the different versions of the same content. This article will help you to understand the various causes of duplicate content, and to find the solution to each of them. Duplicate content can be likened to being at a crossroads where road signs point in two different directions for the same destination: Which road should you take? To make matters worse, the final destination is different too, but only ever so slightly. As a reader, you don’t mind because you get the content you came for, but a search engine has to pick which page to show in the search results because, of course, it doesn’t want to show the same content twice. Let’s say your article about ‘keyword x’ appears at http://www.example.com/keyword-x/ and the same content also appears at http://www.example.com/article-category/keyword-x/. This situation is not fictitious: it happens in lots of modern Content Management Systems. Then let’s say your article has been picked up by several bloggers and some of them link to the first URL, while others link to the second. This is when the search engine’s problem shows its true nature: it’s your problem. The duplicate content is your problem because those links both promote different URLs. If they were all linking to the same URL, your chances of ranking for ‘keyword x’ would be higher. There are dozens of reasons for duplicate content. Most of them are technical: it’s not very often that a human decides to put the same content in two different places without making clear which is the original – it feels unnatural to most of us. There are many technical reasons though and it mostly happens because developers don’t think like a browser or even a user, let alone a search engine spider – they think like a programmer. Take that article we mentioned earlier, that appears on http://www.example.com/keyword-x/ and http://www.example.com/article-category/keyword-x/. If you ask the developer, they will say it only exists once. No, that developer hasn’t gone mad, they are just speaking a different language. A CMS will probably power the website, and in that database there’s only one article, but the website’s software just allows for that same article in the database to be retrieved through several URLs. That’s because, in the eyes of the developer, the unique identifier for that article is the ID that article has in the database, not the URL. But for the search engine, the URL is the unique identifier for a piece of content. If you explain that to a developer, they will begin to get the problem. And after reading this article, you’ll even be able to provide them with a solution right away. You often want to keep track of your visitors and allow them, for instance, to store items they want to buy in a shopping cart. In order to do that, you have to give them a ‘session.’ A session is a brief history of what the visitor did on your site and can contain things like the items in their shopping cart. To maintain that session as a visitor clicks from one page to another, the unique identifier for that session – called the Session ID – needs to be stored somewhere. The most common solution is to do that with cookies. However, search engines don’t usually store cookies. At that point, some systems fall back to using Session IDs in the URL. This means that every internal link on the website gets that Session ID added to its URL, and because that Session ID is unique to that session, it creates a new URL, and therefore duplicate content. Another cause of duplicate content is using URL parameters that do not change the content of a page, for instance in tracking links. You see, to a search engine, http://www.example.com/keyword-x/ and http://www.example.com/keyword-x/?source=rss are not the same URL. The latter might allow you to track what source people came from, but it might also make it harder for you to rank well – very much an unwanted side effect! This doesn’t just go for tracking parameters, of course. It goes for every parameter you can add to a URL that doesn’t change the vital piece of content, whether that parameter is for ‘changing the sorting on a set of products’ or for ‘showing another sidebar’: all of them cause duplicate content. Most of the reasons for duplicate content are either the ‘fault’ of you or your website. Sometimes, however, other websites use your content, with or without your consent. They don’t always link to your original article, and therefore the search engine doesn’t ‘get’ it and has to deal with yet another version of the same article. The more popular your site becomes, the more scrapers you’ll get, making this problem bigger and bigger. Another common cause is that a CMS doesn’t use nice clean URLs, but rather URLs like /?id=1&cat=2, where ID refers to the article and cat refers to the category. The URL /?cat=2&id=1 will render the same results in most website systems, but they’re completely different for a search engine. In my beloved WordPress, but also in some other systems, there is an option to paginate your comments. This leads to the content being duplicated across the article URL, and the article URL + /comment-page-1/, /comment-page-2/ etc. If your content management system creates printer friendly pages and you link to those from your article pages, Google will usually find them, unless you specifically block them. Now, ask yourself: Which version do you want Google to show? The one with your ads and peripheral content, or the one that only shows your article? This is one of the oldest in the book, but sometimes search engines still get it wrong: WWW vs. non-WWW duplicate content, when both versions of your site are accessible. Another, less common situation but one I’ve seen as well is HTTP vs. HTTPS duplicate content, where the same content is served out over both. That’s a problem that needs addressing because, in the end, there can be only one (URL). That ‘correct’ URL for a piece of content is referred to as the Canonical URL by the search engines. You might not know whether you have a duplicate content issue on your site or with your content. Using Google is one of the easiest ways to spot duplicate content. This is a sign that Google is already ‘de-duping’ the results. It’s still not good, so it’s worth clicking the link and looking at all the other results to see whether you can fix some of them. Are there Session ID’s in your URLs? These can often just be disabled in your system’s settings. Have you got duplicate printer friendly pages? These are completely unnecessary: you should just use a print style sheet. Are you using comment pagination in WordPress? You should just disable this feature (under settings » discussion) on 99% of sites. Are your parameters in a different order? Tell your programmer to build a script to always put parameters in the same order (this is often referred to as a URL factory). Are there tracking links issues? In most cases, you can use hash tag based campaign tracking instead of parameter-based campaign tracking. Have you got WWW vs. non-WWW issues? Pick one and stick with it by redirecting the one to the other. You can also set a preference in Google Webmaster Tools, but you’ll have to claim both versions of the domain name. If your problem isn’t that easily fixed, it might still be worth putting in the effort. The goal should be to prevent duplicate content from appearing altogether, because it’s by far the best solution to the problem. In some cases, it’s impossible to entirely prevent the system you’re using from creating wrong URLs for content, but sometimes it is possible to redirect them. If this isn’t logical to you (which I can understand), do keep it in mind while talking to your developers. If you do get rid of some of the duplicate content issues, make sure that you redirect all the old duplicate content URLs to the proper canonical URLs. In the href section of the canonical link, you place the correct canonical URL for your article. When a search engine that supports canonical finds this link element, it performs a soft 301 redirect, transferring most of the link value gathered by that page to your canonical page. This process is a bit slower than the 301 redirect though, so if you can just do a 301 redirect that would be preferable, as mentioned by Google’s John Mueller. If you can’t do any of the above, possibly because you don’t control the <head> section of the site your content appears on, adding a link back to the original article on top of or below the article is always a good idea. You might want to do this in your RSS feed by adding a link back to the article in it. Some scrapers will filter that link out, but others might leave it in. If Google encounters several links pointing to your original article, it will figure out soon enough that that’s the actual canonical version. Duplicate content happens everywhere. I have yet to encounter a site of more than 1,000 pages that hasn’t got at least a tiny duplicate content problem. It’s something you need to constantly keep an eye on, but it is fixable, and the rewards can be plentiful. Your quality content could soar in the rankings, just by getting rid of duplicate content from your site! Wow! You described the steps very clearly. Now i can solve my duplicate content problems. Thanks to you!! I am webmaster for over one year and i publish +1500 words articles 3 times per week on my blog, and the problem is with visitors that copy/paste my article on their blog exactly and without any change , so what is my fault here to get penalized by google for duplicate content !!! Hi Prashant, That is nasty indeed! I think the only you can do, is find these sites and ask them to take it off. If you’ve created it, you’re the rightful owner of that content. 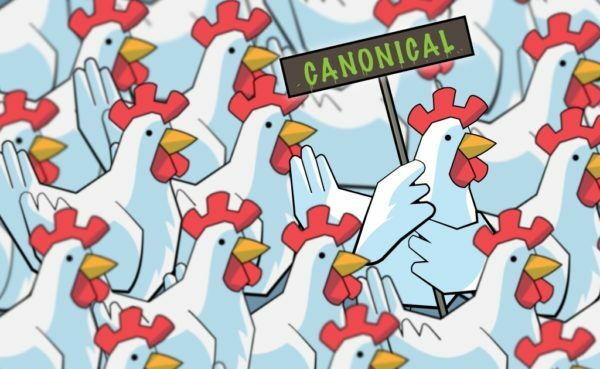 Using rel=”canonical” links is a great way to prevent duplicate content issues in order to improve website SEO to get rank higher in search engines. I am also doing the same with my blog. Thanks for the great suggestions to deal the situation with best. You’re welcome! :) Good luck with your blog! 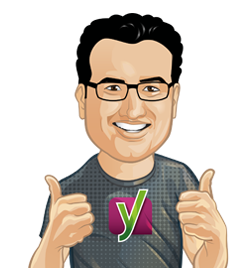 We using Yoast to over 50 sites, and they are going world wide now, our clients get to manage all with help and advice from Yteam. Thanks! Pls i need to know how i can perform a 301 redirect. I am not to certain about the others. I think that 301 redirect would be okay for me. I have fixed all the duplicate content issues on my website, but on the Author Archive page, the title is same to all the pages. I have even disabled the sitemap for it, but still, Google is showing the error. Hi Riyaz, If you’re the only author on your blog, you should disable your author archive, because it’ll show the exact same thing as your blog overview, you can find how to do that here: https://kb.yoast.com/kb/disable-enable-author-archives/ Good luck! This is comprehensive and a must-bookmark post, but it doesn’t deal with a strange variation of the problem I’ve noticed on my site. I’m sure I’m not the only person who sees this., For weeks or months at a time there are no errors in the Search Console HTML Improvements section. Then, without anything happening at the site, a page will appear to be a duplicate. You’ll notice pages 2 to 4 and 6 onwards are not listed. Yet they are just as guilty (or perhaps innocent) of the crime. This will sit as an error for a few weeks or months, then just as suddenly it goes away. It goes away without any action on my part. So, in other words, nothing changes and it becomes a duplicate error, nothing changes for a while longer and it stops being a duplicate error. Until I read your post I always thought it wasn’t a big deal and had something to do with a quirk of the Google algorithm. Now I’m not so sure. Hi Bill, Hard to say what’s going on there, but I think you’re right, it could be something Google is not able to recognize very consistently yet. What about tag pages? Should you name tag somewhat different from the “keyword x” or should you just noindex tag pages? Thank you for this great article. I want to drill further on paragraph 1.8 WWW vs. non-WWW because I feel many people don’t understand how important this can be. When I started my first website, I went on searching all over the web trying to find information about this but I couldn’t find a good article about it. When doing that, one should redirect all different url versions (http:// , https//, http://www. and https:www. to the one preferred. 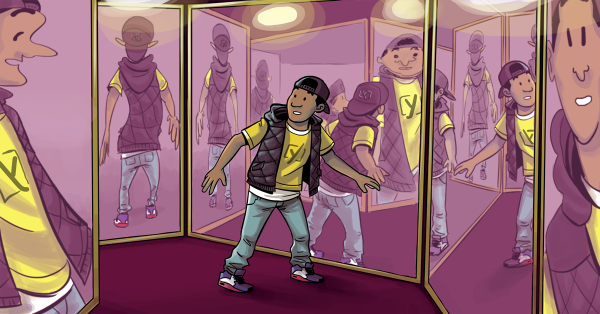 I finally found my answer in this article https://yoast.com/ask-yoast-www-duplicate-content/ In the article you guys wrote that it looks cooler without www. and www. is a bit old fashioned. I totally agree, i just wish I knew it in advance. I’m afraid it’s going to take a lot of work to redirect everything now and probably will lose some link juice so I decided to keep it how it is.